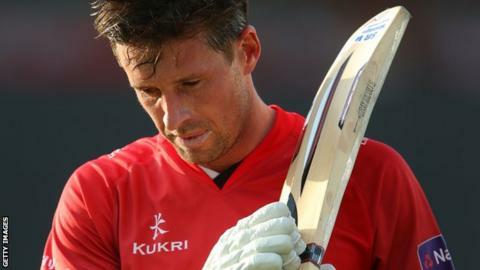 Opener Paul Horton has not been offered a new deal by Lancashire and will leave at the end of the season. Sydney-born Horton, 32, made his debut in 2005 and has scored over 9,500 runs at an average of 38, including 21 centuries and 51 fifties. He was the club's leading run-scorer when they won the Championship in 2011. "I have had a wonderful time at Lancashire. From my first game as a 15-year-old to all 308 competitive professional games," he said. "The pinnacle has to be helping Lancashire win the County Championship in 2011, especially after 77 years of waiting. "It was also an honour and privilege to captain the side to the T20 final last year."